Thank you so much for all the wonderful support. The Standard edition and the Black edition of my Altiplano book have sold out, and we only have 5 copies of the special edition left. I’m quite surprised by the level of interest for this book. I wasn’t sure if it would be of interest to you because of last year’s ‘best off’ collection in my Colourchrome book. I felt that perhaps the Altiplano is too specific an interest, and may only appeal to a small number of people. This version comes in an edition of 100 copies. 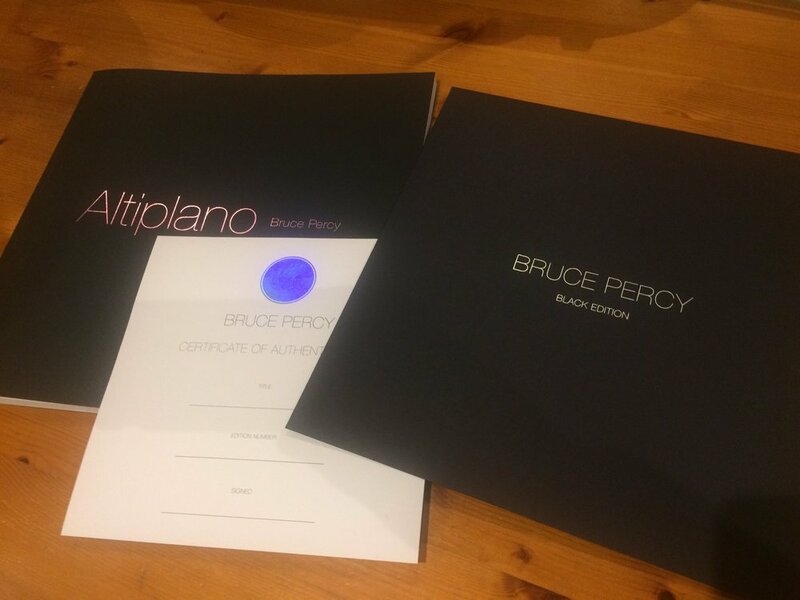 Each comes in a deep purple slipcase and is accompanied by one print (from a choice of three prints). I’m sorry if you wanted a copy of the standard edition, but didn’t get one. It is hard to judge how many books to print…. it is a difficult one to judge because printing books is an expensive operation, and profits / margins are very low. To make money at all on printed books is hard. But I so wanted to print this book. I felt it might be a vanity project (in other words - my desire to produce this book may be at odds with the interest in it). But I love books. I have a huge collection of them at home and I think photographic books are very important. Just like prints are. Photographs aren’t finished until they are printed or reproduced in books. Uploading them onto a website is nice, but it doesn’t really convey the detail and subtleties of the image. I also love designing books. The concept is important, the laying out of the images is very satisfying, and then of course, having it all bound up into a final product just seems to feel like something greater than the sum of its parts. There has been months of discussion and work between myself and my friend Darren Ciolli-Leach, who as a graphic artist is behind the finer details of my book designs. Without Darren, my books wouldn’t be as beautiful as they are. He has a fine attention to the medium of print, paper types and fonts. It is his level of expertise in book production that I admire, as he is always able to take my initial fuzzy idea and turn it into a professional product. Both Darren and myself produced this book because we both love photographic books, and we love to try to create something beautiful. It’s all about the passion for doing something special. I would love to continue to publish a book each year, so I am now busy working on some future concepts, and busy making new images in the central highlands of Iceland. Perhaps for that next book….. Thank you for the support. It means a great deal to me.